(Corey Goode) 'Above Majestic' is a shocking and provocative look at what it would take to hide a multi-trillion-dollar Secret Space Program (a clandestine group of elite military and corporate figureheads charged with reverse-engineering extraterrestrial technology also known as “Majestic 12”) from the public and the implications this would have for humanity. Viewers will be guided through taking a deep dive into the origins, technologies, history, cover-ups, conspiracies, testimony and research that goes beyond and Above Majestic. Featuring some of the most prominent and prolific authors, researchers, whistle-blowers, and disseminators in the movement for Truth and Full Disclosure. This includes David Wilcock, Corey Goode, John Desouza, William Tompkins, David Adair, Laura Eisenhower, Niara Isley, and Jordan Sather. 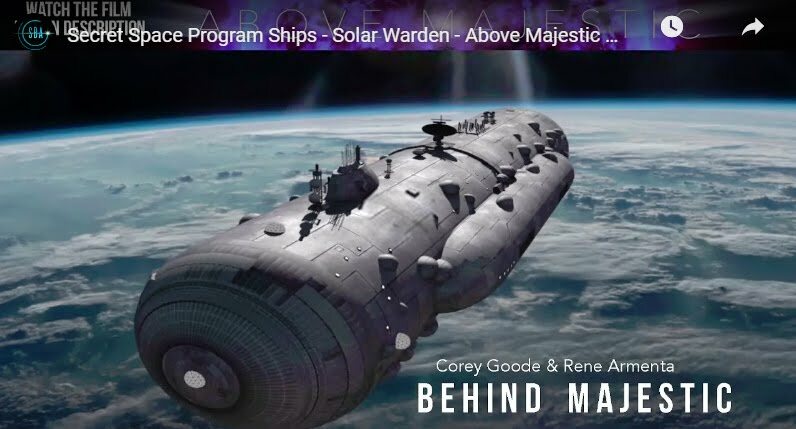 Above Majestic is now available worldwide! !